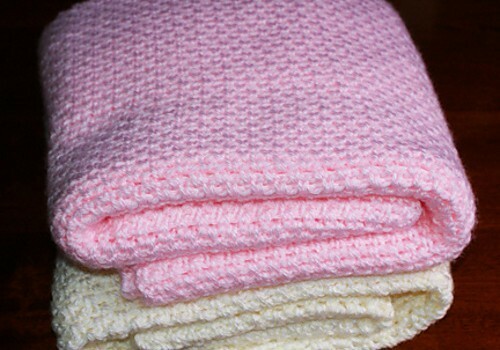 This crochet baby blanket is a beginner-friendly pattern and can be done in about 11-12 hours. Of course, if this is your first project and it takes longer, don’t beat yourself up. Learning a skill takes time. This Fast Easy Baby Blanket by Amy Solovay is suitable for either boys or girls and is made using only two crochet stitches: single crochet and chain stitch. 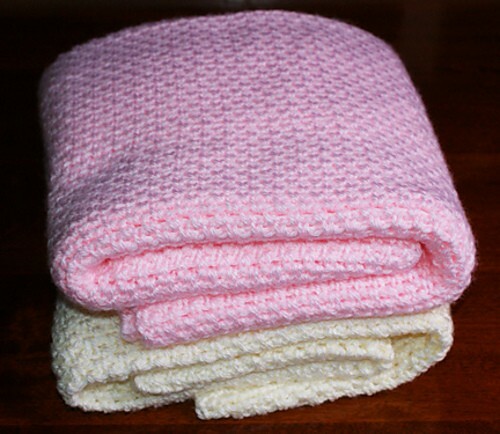 I’ve included three blanket sizes for you to choose from: preemie, newborn and toddler. Instructions are written for the smallest size, and changes for the larger sizes are noted in parentheses.